Jupiter is getting better, but not as fast as I would like. I'm till trying to find out for sure if it is Kennel Cough or something else. 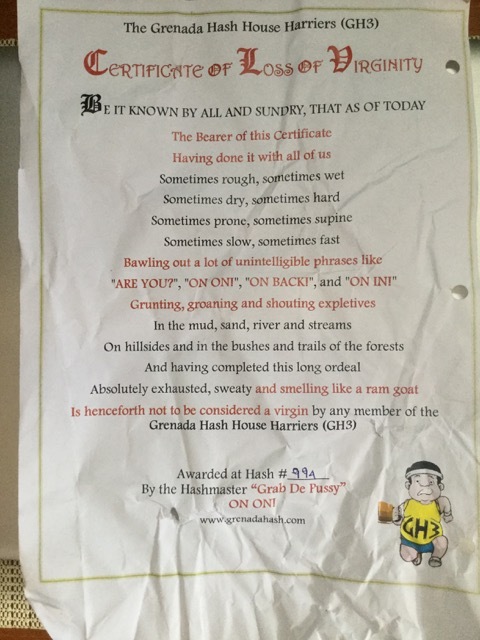 Now for the HASH - I did the Grenada HASH this Saturday and it was a blast. 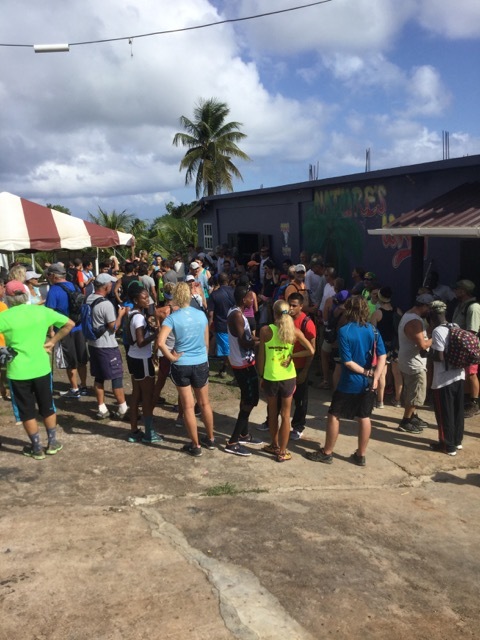 The HASH starts at 4:00 PM at different locations on the island each Saturday. I did the walking HASH rather than the running HASH. You would have to be in extreme physical shape to do the running HASH without collapsing. The walking HASH was about 2- miles and was across Estates and up and down terrain. You go through cocoa groves, nutmeg groves, banana groves, avocado, mango — it is typical Grenada country side — forests of fruit, nut, and spice tree on fertile muddy soil. My heart rate reached MAX at 5 times or more especially when going up muddy hill sides in the forests and farms. Mud, Mud and more Mud. Never were new shoes and bring a change. Bring 1liter of water or more, and way to carry that water so your hands are free when you are crawling up hills and holding on the roots while going down hills. It was 89 deg F and 94% Humidity, so you perspire and you will be soaking wet. At the end of the HASH you are tiered, muddy, soaking wet, and smell like a pig. I drank a liter of water and once I got in I purchased another liter + a real Coke to get some sugar back into me. After that then it was time for Beer and there is plenty of fresh cooked food (Oil Down and BBQ Chicken). 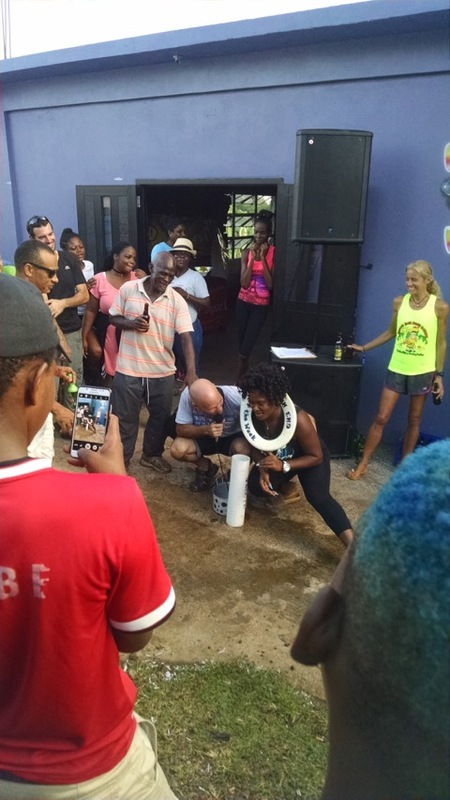 The pictures below are at the start of the HASH and the post HASH ceremony. On the way home, ShadeMan always stops at a local rum bar. 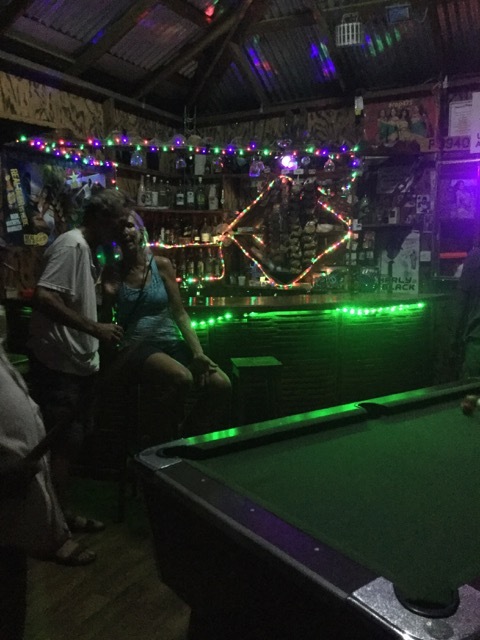 We stopped at Omar's to have a few beers and play pool. I got back to the boat at about 9PM. Here is my certificate for completing the HASH. I finally saw an ackee tree full of ripe fruit. It was beautiful with loads of red fruit on a dark green evergreen tree. Shame that most of it is poison.